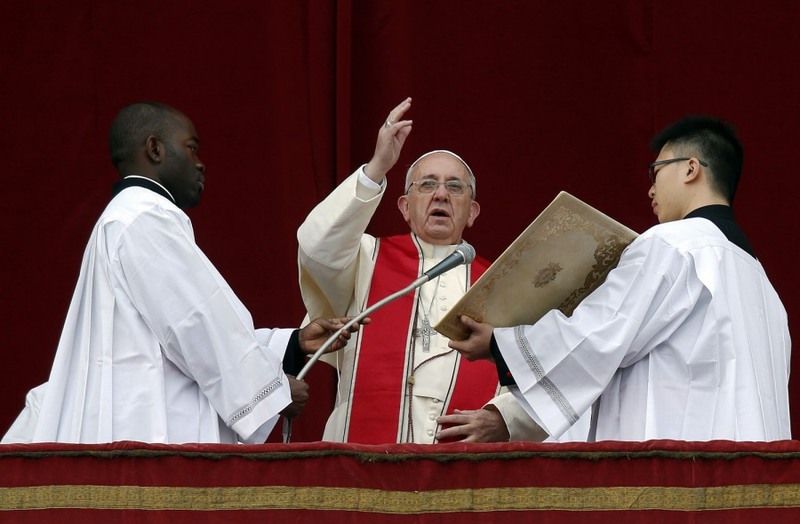 Pope Francis makes a blessing as he delivers his first "Urbi et Orbi" (to the city and world) message from the balcony overlooking St. Peter's Square at the Vatican on Dec. 25, 2013. Pope Francis offered Christmas wishes Wednesday for a better world, praying for protection for Christians under attack, battered women and trafficked children, peace in the Middle East and Africa, and dignity for refugees fleeing misery and conflict around the globe. 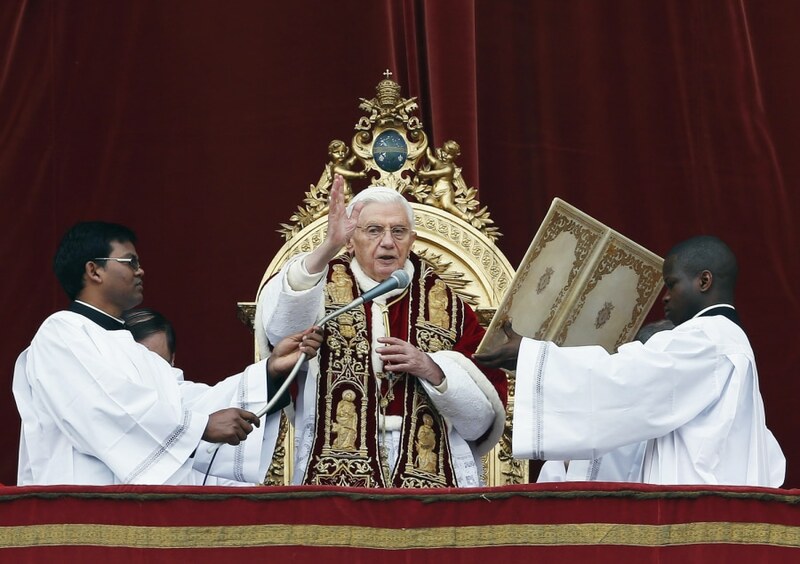 Pope Benedict XVI blesses the crowd as he makes his "Urbi et Orbi" address from a balcony in St. Peter's Square in Vatican on Dec. 25, 2012.